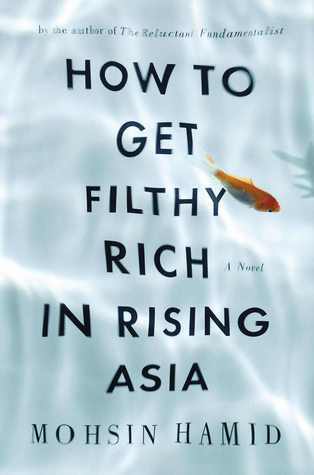 “How to Get Filthy Rich in Rising Asia” begins under a bed. With you — yes, you — under a bed. Once you quit cowering, you’ll be the hero of this novel written in the second person, although there’s nothing remotely heroic about you at the moment; you’re so sick you can scarcely speak. The only remedy at hand is a large white radish, which your mother cooks up in a foul brew. Courage. You’ll live and what’s more, you’re only seven steps from getting Filthy Rich, according to the narrator. (You’re also nine steps from ruin, but we’ll address that in a minute.) The marriage of these two curiously compatible genres — self-help and the old-fashioned bildungs­roman — is just one of the pleasures of Mohsin Hamid’s shrewd and slippery new novel, a rags-to-riches story that works on a head-splitting number of levels. It’s a love story and a study of seismic social change. It parodies a get-rich-quick book and gestures to a new direction for the novel, all in prose so pure and purposeful it passes straight into the bloodstream. It intoxicates.